According to a survey, bored employees can gain a dress size within a year. The idea is that you are more likely to indulge at your desk when you can’t get any satisfaction from your job. However, it would be foolish to assume a direct correlation between your professional motivation and your weight. Indeed, you don’t need to be a dull job to put on weight. Desk-Bound careers are commonly linked to weight gain because they encourage unhealthy habits. Ultimately, the question is not whether your job is making your fat, but how it can affect your body mass and health in the long term. Are you ready to be brutally honest about your work lunches and snacks? Whether we like it or not, lunchtime is your worst enemy. Contractually, every employee needs a break – which is called lunchtime if you work the typical 9 to 5 hours, but the name varies depending on your work schedule. And it’s probably because it is called break that most people want to walk out of the office and eat away from the desk. If you want to escape the office, you’re more likely to head outside and find a yummy option in the streets. What is it going to be? A warm meal at your local takeaway? With a variety of choices, it’s fair to say that you won’t be buying a salad everyday! However, you can avoid temptation by getting fresh and healthy meals delivered to you, instead. Ultimately, if you don’t want to make extra work for yourself with a lunch box, you can order meals designed for your health. You’re keen to stick to a simple lunch box. But you focus on practical solutions, from a pack of crisps to white bread sandwiches. Your grocery shopping is made easy by knowing everything you need for a satisfying lunchbox. But slices of toast, squares cheese, ham and mayonnaise can lack essential nutrients. You might need to help your body cleanse bad habits away with nutritional foods that curb hunger and nourish the body – check isaelite.com.au for a list of the best dietary ideas. You need to fuel your body with vitamins and minerals instead of packed carbs! Who needs a lunch break? You’re too busy for that! Beware of falling down the skipping meals road, as per huffpost.com. Indeed, your brain is forced to kickstart survival mechanism, which implies you’re craving sugar, carbs and fat. Additionally, it also commands the body to store every calorie, which means that the muffin top is unlikely to disappear! Can you name an office that doesn’t have a selection of chocolate bars and candies? Everyone needs something sweet from time to time, right? Wrong! 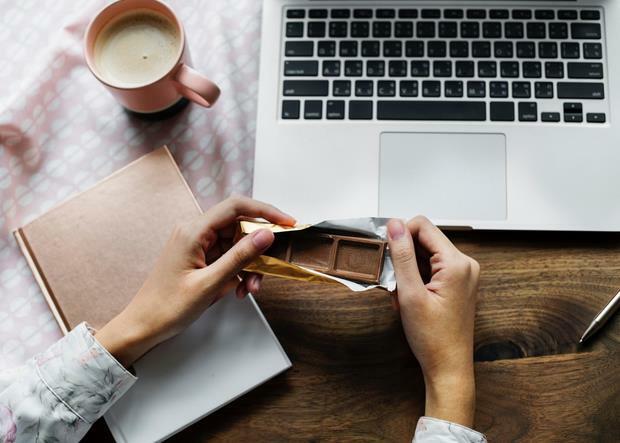 It creates a new habit; namely, you tend to reward hard or tenuous work with sugar, which might not stop your career progress but is likely to force you to upgrade your wardrobe by the time you land your next promotion. Managing your weight when you work at a desk is never easy. But you can avoid costly traps by remaining mindful of your choices and fallback behaviours. Remember: The office job is only making you fat because you let it!